Having trouble setting a New Year’s resolution? Why not DASH into 2018 by eating better and working toward a healthier you? Dietary Approaches to Stop Hypertension, or DASH, emphasizes dairy, fruits, vegetables, whole grains and lean protein as part of a balanced diet to reduce high blood pressure and improve health. Cheese, milk, and yogurt provide essential nutrients like calcium, potassium and magnesium that are key in making the DASH diet work. For eight years, DASH has been ranked the Best Diet Overall diet by U.S. News and World Report. In 2018, the eating plan also topped the “healthy eating” and “heart disease prevention” categories. The American College of Cardiology and the American Heart Association recently lowered the recommendations for what it means to have high blood pressure. This change will increase the number of people with elevated or high blood pressure, but this also means that people will be able to fight back sooner by changing their diet and getting more exercise. This is what the DASH diet was originally designed to do, but it’s also a healthy way of eating that is recommended by the Dietary Guidelines for Americans. Want to kick-start your DASH resolution? 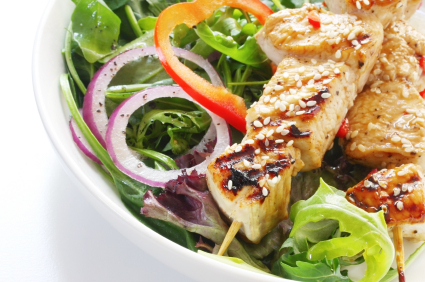 Take the Rate Your Plate Quiz and get started with this 4-step plan. Improving student performance and advancing a culture of health and wellness were the primary themes discussed at the Learning Connection Summit at Central Point Elementary School on October 26. Oregon Dairy and Nutrition Council staff took a lead role in bringing together a broad spectrum of community leaders from the private and public sectors to come together and strengthen local networks, stimulate action and support the link between health and education. Discussions included school and worksite wellness, community nutrition, physical activity and school nutrition innovations. Summit participants came from both Jackson and Josephine counties and included elected officials, superintendents, school nutrition directors, county staff, health system administrators, business leaders and local farmers. All committed to advance school and community wellness with time and resources over the next year and beyond. This effort was originally prompted by registered dietitian nutritionists from the Oregon Dairy and Nutrition Council. Two years ago, the Council organized a similar gathering in Tillamook. This led to the Tillamook County Commission declaring a “Year of Wellness,” yielding positive changes in individuals, businesses, schools and organizations. Following on that success, Umatilla followed suit with a summit of their own. In addition to the Oregon Dairy and Nutrition Council, the Rogue Valley Learning Connection Summit was supported by Central Point School District, Oregon State University Extension, AllCare Health, Rogue Creamery, and Oregon Department of Education, Child Nutrition Programs. Is DASH the Best Diet … Ever? Could it be? Is there really a “best diet?” If such a thing exists, the Dietary Approaches to Stop Hypertension (DASH) eating plan may just be it. In 2017, for the seventh year in a row, an expert panel of health and nutrition experts assembled by U.S. News & World Report rated DASH Best Overall Diet. DASH has been repeatedly lauded by expert panels for its proven plan for healthy eating, diabetes prevention and heart health. With nearly 20 years of research to support it, the DASH Diet is recommended by both the 2010 and 2015 Dietary Guidelines for Americans, the American Heart Association and the National Heart, Lung and Blood Institute. What’s unique about DASH is that it is really not a traditional diet but rather an eating plan that you can follow for life. It also works well for families, couples, co-workers and individuals. The focus is on food – simple, easy-to-prepare and tasty food. No pills or special ingredients. Simply food. The DASH eating plan emphasizes whole grains, vegetables, fruits, lean protein and dairy foods. In fact, milk, cheese and yogurt are critical components of DASH because of the nutrients they provide. This combination of foods provides enhanced health benefits that are not seen when dairy foods are not included. 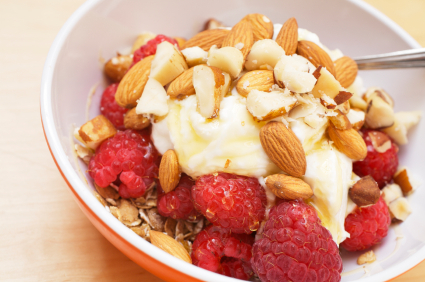 So, is it time for you to get started with the DASH eating plan? We can help with the information and tools you need. Visit https://odncouncil.org/dash/ to find DASH recipes to help you reach your daily goal for each food group. The DASH diet is proven to work. Why hasn’t it caught on? What’s black and white and can be found in a field? 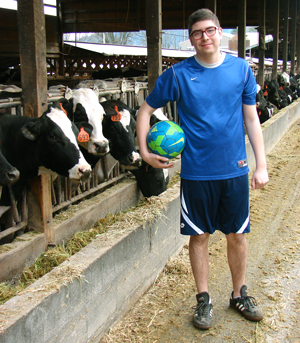 A Holstein cow or a soccer ball would both be correct answers – and ninth grader Noah Miramontes knows his way around either one. As the son of first generation dairy farmers Jesús and Emma Miramontes, Noah has grown up on his family dairy near Grants Pass, Oregon. In addition to working hard alongside his parents on the farm, Noah Miramontes is now a freshman varsity soccer player for North Valley High School. Making the varsity team wasn’t easy, especially as a freshman. He attributes his success to the lessons he’s learned on the farm and to eating healthy. There are so many tasks to complete in any given day on a dairy farm, Noah understands that routine is important as is every pair of hands and feet. Just like soccer. Farm work has also helped him prepare for any weather conditions as well as the hard work and physical demands that comes with playing competitive soccer. When he’s not working, practicing or playing in a game, Noah enjoys snacking on fruit with peanut butter and washes it down with plenty of milk. In fact, Noah’s favorite dairy product is milk – especially chocolate milk. He recognizes the importance of nutrition to help make him strong so he can continue to improve. While his big brother and sister have both left the farm to pursue their own passions, Noah knows he has at least a few more years of farm chores ahead of him. But he’s not complaining. Who doesn’t want to live a stronger, healthier and happier life? All were elements of Judy Barbe’s Eating Well, Being Well workshop in Tillamook on Saturday, March 11. Barbe is a Registered Dietitian Nutritionist and a nationally-known author and speaker, and her appearance was sponsored by the Oregon Dairy and Nutrition Council. 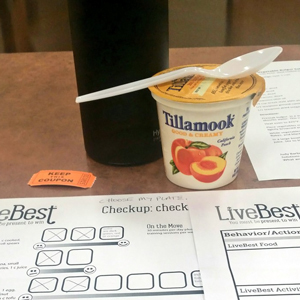 Organized by the Tillamook County Year of Wellness Nutrition Committee, and led by Oregon State University Extension Professor Jessica Linnell, PhD, the event drew more than 70 attendees, including all ages and walks of life. In addition to Tillamook Mayor Suzanne Weber and Commissioner Bill Baertlein, dairy representatives included local dairy farmers Julie Lourenzo and Joanne Seals, as well as Dairy Extension County Leader Troy Downing. Judy Barbe engaged the audience in exercises aimed at assessing their food and lifestyle choices along with some goal setting activities to make improvements. She made an impression. 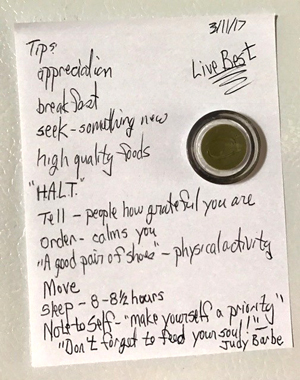 One of the attendees said, “I am going to lose the prejudices I’ve formed about several food groups.” Another later posted a picture of his notes from the presentation posted on his refrigerator at home. Still another Tweeted about her meal prepping after the workshop. Barbe gave positive “dairy deliciousness” food suggestions and addressed the health benefits of consuming real dairy. She answered questions about dairy fat and alternative beverages. Hallie Hopkins with Oregon State University Extension Service provided a tasty and instructive food demonstration with bulgur, roasted vegetables and a yogurt sauce made with donated Tillamook yogurt. Families gathered at a local elementary school in Umatilla last month to learn how to cook healthy recipes that they could make together at home. It was a free class offered by Umatilla School District, Umatilla-Morrow Head Start and Oregon State University Extension Service; and it was precisely the kind of community collaboration that the Oregon Dairy and Nutrition Council had in mind when it organized the Umatilla Learning Connection Town Hall. At the town hall meeting last October, local community leaders from education, school nutrition, extension, public health, health care and agriculture joined together to discuss how nutrition, physical activity, health and education impact student success. 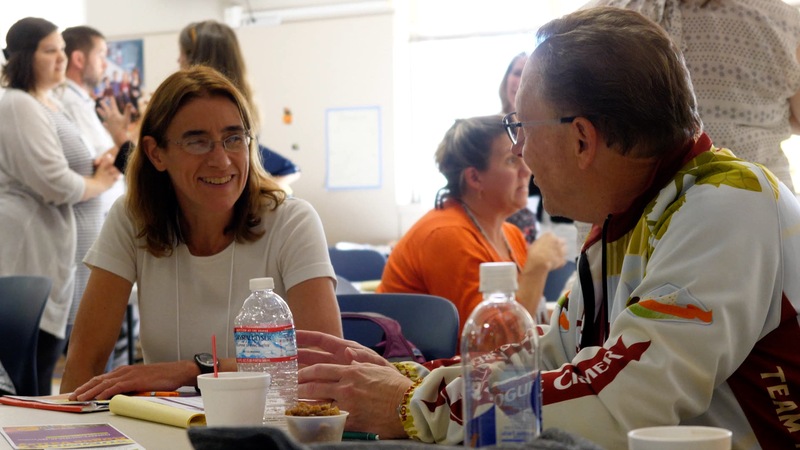 Together, the participants are strengthening local networks in Umatilla and Morrow counties and engaging a broad range of stakeholders in supporting the proven link between child health and wellness and education. “The support for our students from teachers, child nutrition, after school and community programs has a clear and direct impact on their success,” said Heidi Sipe, Superintendent, Umatilla School District. The town hall highlighted best practices in nutrition and physical activity and put the spotlight on Umatilla School District for their outstanding commitment to child health and success with innovative approaches to ensuring all kids are nourished for learning. Participants walked the new fitness trail at Umatilla High School, which was partially funded by the Fuel Up to Play 60 program and built by committed community members. Town hall participants were asked to commit to school and community wellness with time and resources in the next school year and beyond. They each identified 90-day goals to keep the connections active and further their shared goal of advancing community health. Participants will reconvene in one year to share their successes and continue their commitment. “We need to do everything we can to stay connected and ensure the success of our students, families and community,” said Kevin Campbell, CEO, Eastern Oregon Coordinated Care Organization. In addition to the Oregon Dairy and Nutrition Council, the Umatilla Learning Connection Town Hall was supported by: Umatilla School District, Umatilla County, OSU Extension SNAP-Ed, Intermountain ESD, Good Shepherd Health Care System, Umatilla-Morrow Head Start, Oregon Department of Education (ODE) Child Nutrition Program and ODE Office of Teaching and Learning. Nationwide, up to 60 percent of hospitalized older adults may be malnourished, with an estimated price tag of $51.3 billion. It is no surprise that a 300 percent increase in health care costs can be attributed to poor nutrition status. In Oregon, Registered Dietitian Nutritionists are in the forefront of the fight to prevent and treat malnutrition. Partnering with nutrition leaders, Oregon Dairy and Nutrition Council is working to raise awareness and has gathered educational tools to help health professionals recognize and treat malnutrition. The resources also help older adults realize that they need to ask about nutrition and advocate for improved care. Oregon Governor Kate Brown joined the Oregon Academy of Nutrition and Dietetics in shining the light on the impact of malnutrition – especially in older adults – by proclaiming September 26 to 30 as Malnutrition Awareness Week in Oregon. Preventing and treating malnutrition can be as simple as following the MyPlate guidelines. Eating enough food and the right amounts from each food group is the key. Protein is especially important. Malnutrition awareness is important. Learn more about this issue at this link to a KPTV television story with Providence nutrition services. Anne Goetze, our senior director of nutrition affairs, was recently selected as a recipient of the 2016 Preceptor Award by the Academy of Nutrition and Dietetics Foundation. Only seven of these awards are available each year across the entire nation. A preceptor is a professional practitioner who is an exemplary educator, mentor and supervisor to students. Did you know that the ODNC has an average of eight dietetic interns (future nutrition professionals) from Oregon State University and Oregon Health and Science University each year? While here, they research the nutritional value of dairy, participate in dairy industry meetings, tour dairy farms and meet industry leaders and partners. 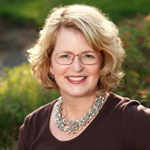 Anne is a recognized leader in the field of nutrition and dietetics throughout Oregon who has worked for ODNC for more than 25 years. Have questions about the nutritional value of dairy? Contact Anne at agoetze@odncouncil.org or 503-229-5033. Early this year, the 2015-2020 Dietary Guidelines for Americans (DGAs) were released jointly by the U.S. Department of Agriculture and the United States Department of Health and Human Services. Similar to previous versions, the new DGAs recommend three servings of dairy each day as an important part of a healthy eating pattern. The full report brings attention to the fact that daily dairy intake for most Americans falls below recommendations and calls for increased consumption. Adding one serving of dairy every day can help Americans get the nutrients they need in an easy and affordable way. Dairy foods are nutrient rich and among the top sources of calcium, vitamin D and potassium, which are nutrients of concern in the American diet. Few other foods deliver dairy’s powerhouse of nutrients in such an affordable, appealing and readily available way. By comparison, it would take 21 cups of chopped broccoli to deliver the same amount of calcium as three glasses of milk. The DGAs are significant because they form the foundation of all the USDA nutrition programs – school meals, WIC, Head Start, extension and SNAP-Ed. They also impact the nutrition recommendations health professionals give their patients and curriculum in the classroom. What happens when a broad-based group of citizens comes together with a common goal to improve the health of their community? Change happens! Anne Goetze, Senior Director of Nutrition Affairs for ODNC, has been serving on their appointed task force and co-chairs the nutrition subcommittee. Additionally, this town hall led to ODNC’s work with the Oregon Department of Education and the Tillamook School District on wellness policy activation with Fuel Up to Play 60 as a featured program. In August, a well-attended Community Health Matters Forum helped chart the course for ongoing community engagement. Results from an online challenge showed people making healthier food choices, preparing healthy meals and being more physically active every day. The success of this program serves as a model that will be introduced in Umatilla later this year. For more information about the Year of Wellness efforts, visit their website at http://tillamookcountyhealthmatters.org/about-us/.